If you were to ask me for the most significant person in NOISY, experimental rock music today, one name instantly springs to mind. Thee one and only, Mr. Michael Gira. Aside from being the founder of much loved eccentric music label, Young God Records, Gira is the boisterous orator behind musical outfit SWANS. Don’t be fooled by their sickly sweet name, founded back in 1982, they’ve always been an immensely aggressive listen but, to my ears, intrinsically beautiful, an alluring odd mixture of Fluxus composition, gothic chamber music and free jazz experimentation. With painful yelps, screeching guitar drones, tuneful melodies, resonating brass arrangements, bangs and wallops reverberating from all kinds of beaten-up instruments, they encapsulate the sound of autonomous industrialisation in the ugly, Brave New World. Contextualisation out of the way, onto the film. Named after their latest, and perhaps most incredible album, Swans – The Seer is a music documentary that, for the most part, doesn’t feature much music. Instead of trying to reencapsulate the magic of a live SWANS show, director Jim Larson follows Gira and his band through their meticulous soundcheck, record signing sessions and general backstage banter. Initially quite an intimidating, stoney-faced figure, Gira proves himself to be incredibly cordial, well mannered and filled with adoration with the incredible performers he’s managed to wrestle into his band. The biggest star of them all, both in the film and in their live shows, is Thor Harris. A beast of a man, he explains how he is an accomplished carpenter by day, but by night he wrestles with all sorts of beaten up percussion instruments. 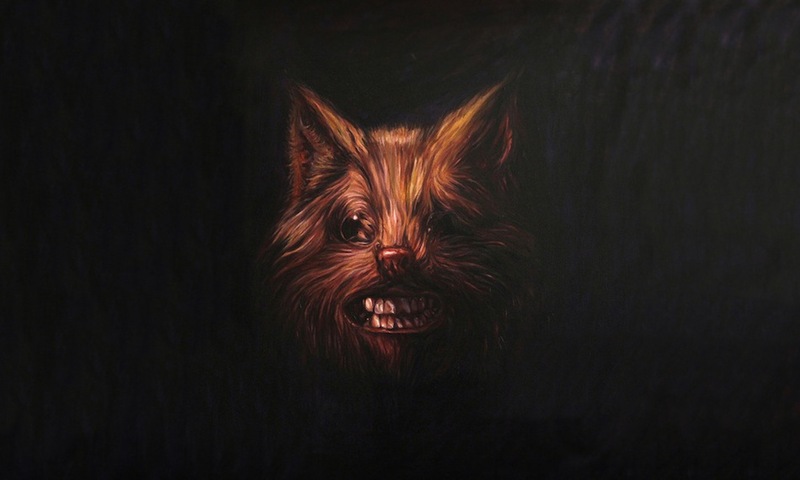 Released for free in the internet ether by Pitchfork.tv yesterday, it’s a stroke of luck that my eyes and ears will fall witness to another SWANS live experience tonight when they play in a concert hall here in Copenhagen. There’s no doubt in my mind that it will be up there with one of my favourite live shows of the year. If they happen to be rolling into your neighbourhood sometime soon, fork over the cash and witness the sonorous gold live. Until then, watch this short, insightful documentary, buy the SWANS discography and tune your brain to some of the most evocative and resonating music you’ll hear this lifetime. WATCH THE DOCUMENTARY NOW! HERE! YES! This entry was posted in ★★★★☆ (4), Other stuff and tagged brave new world, fluxus, free movies, jim larson, john cage, michael gira, Music documentary, noise rock, Pitchfork, pitchfork.tv, swans, swans band, the seer, thor harris, young god records. Bookmark the permalink. Not a single word exaggerated…in fact every superlative used to describe Swans is more likely to be an understatement…Precious docu.